Before you begin flight training, it is important to have a basic understanding of the responsibilities, safety regulations, and issues applicable to such an endeavor. This includes the choice of a flight school, selected study materials, study habits, and the role of the instructor, student, and Federal Aviation Administration (FAA). Congress empowered the FAA to foster aviation safety by prescribing safety standards for civil aviation. This is accomplished through the Code of Federal Regulations (CFRs). Title 14 of the Code of Federal Regulations (14 CFR) part 61 pertains to the certification of pilots, flight instructors, and ground instructors. This prescribes the eligibility, aeronautical knowledge, flight proficiency, and experience required for each type of pilot certificate issued. The Most Frequently Asked Questions section on page 8 of this guide, lists typical questions, with answers, asked by student pilots. If your question is not answered, we suggest that you contact your local FSDO. The FSDO will be able to furnish current information regarding changes in procedures or revisions to regulations. 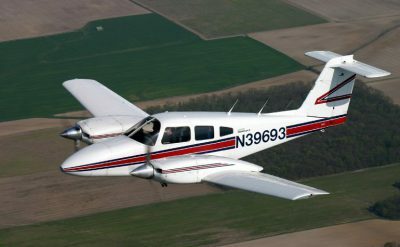 qualify for a ground school rating and a flight school rating. In addition, the school may be authorized to give their graduates practical (flight) tests and knowledge (computer administered written) tests. 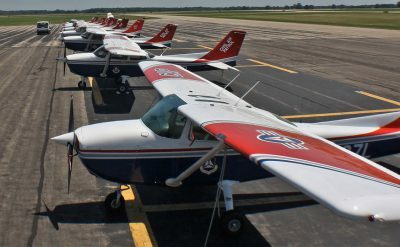 Information on flight schools is available on the FAA’s website. A list of commercial airman knowledge testing centers is available on the FAA’s website. Enrollment in a certificated school usually ensures quality and continuity of training. These schools meet prescribed standards with respect to equipment, facilities, personnel, and curricula. Many excellent flight schools find it impractical to qualify for the FAA part 141 certificate and are referred to as part 61 schools. 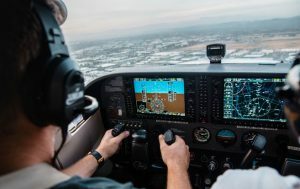 One difference between a part 141 school and a part 61 school is that fewer flight hours are required to qualify for a pilot certificate in a part 141 certificated school. The requirement for a private pilot certificate is 40 hours in a part 61 school and 35 hours in a part 141 certificated school. This difference may be insignificant for a private pilot certificate because the national average indicates most pilots require 60 to 75 hours of flight training. The FSDO will provide information on the location of pilot training facilities in your area. A current file is maintained on all schools within each FSDO’s district. You make the decision on where to obtain flight training. You may want to make a checklist of things to look for in a school. Talking to pilots and reading articles in flight magazines can help you in making your checklist and in the evaluation of a training facility. 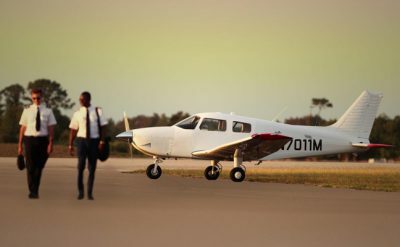 Your choice of a flight school might depend on whether you are planning to obtain a sport pilot certificate, recreational pilot certificate, private pilot certificate, or whether you intend to pursue a career as a professional pilot. Another consideration is whether you will train part time or full time. Do not make the mistake of making your determination based on financial concerns alone. The quality of training you receive is very important. Prior to making a final decision, visit the school you are considering, and talk with management, instructors, and students. Evaluate the items on the checklist you developed, and then take time to think things over before making your decision. Ground and flight training should be obtained as regularly and frequently as possible. This assures maximum retention of instruction and the achievement of requisite proficiency. The student pilot’s training program depends upon the quality of the ground and flight training received. An instructor should possess an understanding of the learning process, a knowledge of the fundamentals of teaching, and the ability to communicate effectively with the student pilot. During the certification process, a flight instructor applicant is tested on a practical application of these skills in specific teaching situations. The quality of instruction, and the knowledge and skills acquired from your flight instructor will affect your entire flying career whether you plan to pursue it as a vocation or an avocation. A course of instruction should include the ground and flight training necessary to acquire the knowledge and skills required to safely and efficiently function as a certificated pilot. 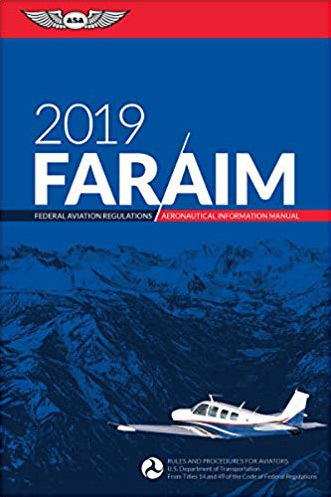 Whether you attend a part 141 or part 61 school or obtain the services of an individual flight instructor, the specific knowledge and skill areas for each category and class of aircraft are outlined in Title 14 of the Code of Federal Regulations (14 CFR). Refer to 14 CFR part 61, subpart J for the requirements of a sport pilot certificate. Refer to 14 CFR part 61, subpart D for the requirements of a recreational pilot certificate. Refer to 14 CFR part 61, subpart E for the requirements of a private pilot certificate. The FAA has adopted an operational training concept that places the full responsibility for student training on the flight instructor. In this role, the flight instructor assumes total responsibility for training you to meet the standards required for certification within an ever changing operating environment. Like anything else in life, the more you educated yourself and are aware of what is expected of you and others, the more control you have of your goal’s outcome. Research the avenues open to you. Get impartial opinions of the flight school and/or instructor you intend to employ. The flight instructor will provide you guidance, and arrange for your academic and flight training lessons. These lessons are presented in a logical manner to achieve desired goals. After each flight, the flight instructor will review the day’s lesson. This will be the time to clear up any questions. It is important that misconceptions be clarified while the subject is still fresh in mind. Pilots, except those who fly gliders or free air balloons, must possess a valid medical certificate in order to exercise the privileges of their airman certificates. Sport pilots must possess either a valid third-class medical certificate or a valid driver’s license. The periodic medical examination required for medical certification is conducted by designated aviation medical examiners, who are physicians with a special interest in aviation safety and have training in aviation medicine. The standards for medical certification are contained in 14 CFR part 67. The requirements for obtaining medical certification are contained in 14CFR part 61. Prior to beginning flight training, a flight instructor should interview you about any health conditions and determine your goal as a pilot. Good advice would be to obtain the class of medical certificate required, for the certificate level you ultimately want, before beginning flight training. Finding out immediately whether you are medically qualified could save time and money. If you do have physical limitations, such as impaired vision, loss of a limb, or hearing impairment it is possible you could be issued a medical certificate valid for “Student Pilot Privileges Only.” This kind of medical certificate will allow you to continue flight training and to prepare for the pilot certification practical test. During training, flight instructors should ensure that you can safely perform all required Tasks that pertain to the required standards. Special devices may be necessary to allow you to manipulate the flight controls. If you are unable to perform certain Tasks, you may have a limitation placed on your pilot certificate. For example, hearing impairment would require the limitation “Not Valid for Flight Requiring the Use of Radio.” Another limitation may allow the pilot to only operate a certain make and model airplane, such as one without rudder pedals. Communication between individuals through the use of words is a complicated process. In addition to being an exercise in the application and use of aeronautical knowledge, a knowledge test is also an exercise in communication since it involves the use of written language. Since the tests involve written rather than spoken words, communication between the test writer and the person being tested may become a difficult matter if both parties do not exercise care. For this reason, considerable effort is expended to write each question in a clear, precise manner. Your instructor will direct you to the textbooks and other sources of training and testing materials that are available from the FAA’s Airman Testing website. Your instructor may use commercial publications as a source of study materials, and these materials may be desirable, especially for aircraft categories where government materials are limited. The FAA develops and makes available to the public various sources of aeronautical information. Some of this information is free; other information is available at a nominal cost. Of particular interest and value to those persons getting started in flying are: FAA-H-8083-27A, Student Pilot Guide; FAA-H-8083-3, Airplane Flying Handbook; FAA-H-8083-25, Pilot’s Handbook of Aeronautical Knowledge; Aeronautical Information Manual (AIM); and Practical Test Standards (PTSs). In addition, many aviation publications are available from commercial sources. The current Flight Standards Service airman training and testing material and questions banks for all airman certificates and ratings can be obtained from the FAA’s Airman Testing website. A listing of all current Advisory Circulars is available on the FAA’s website. The Airport/Facility Directory and Aeronautical Charts are available on the FAA’s website. The National Transportation Safety Board Regulation part 830 is available on the U.S. Government Printing Office’s website. Most airport fixed base operators and flight schools carry a variety of Government publications and charts, as well as commercially published materials. You should follow your instructor’s advice on what and when to study. You should recognize the advantages of planning a definite study program and following it as closely as possible. Haphazard or disorganized study habits usually result in an unsatisfactory score on the knowledge test. For the applicant who is unable to attend a school, the self-study method can be satisfactory, provided the proper study materials are obtained, and a reasonable amount of time is devoted to study. The applicant should establish realistic periodic goals, and equally important, a target date for completion. Self-discipline is important because it is too easy to “put off” the study period for some other activity. The use of a training syllabus is an effective way for the flight instructor to lead you through the proper steps in learning to fly safely. When beginning flight training, the development of good study habits includes the practice of visualizing the flight instructor’s explanation plus those of the textbook. Study habits should include time spent with cockpit familiarization. This includes reviewing checklists, identifying controls, and learning the cockpit arrangement. Experience has shown that the knowledge test is more meaningful to the applicant, and is more likely to result in a satisfactory grade, if it is taken after beginning the flight portion of the training. For optimum benefit, it is recommended that the knowledge test be taken after the student has completed a solo cross-country flight. The operational knowledge gained by this experience can be used to the student’s advantage in the knowledge test. Your instructor will be the best indicator of your preparedness for the test. FAA-Designated Computer Testing Centers have been certificated to administer FAA knowledge tests. Applicants will be charged a fee for the administration of FAA knowledge tests. 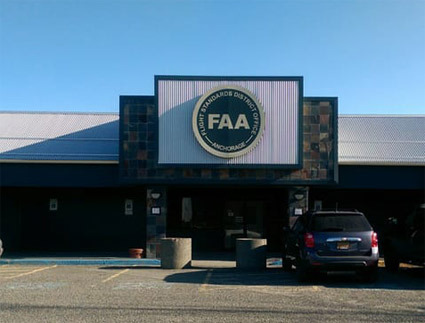 Test registration numbers and a complete list of test centers can be downloaded from the FAA’s website or you may contact your local FSDO to obtain information concerning an FAA-Designated Computer Testing Center in your area. Note: If you are enrolled in a part 141 school with test examining authority, the school will administer the knowledge test during the curriculum. The knowledge test contains questions of the objective, multiple-choice type. This testing method conserves the applicant’s time, eliminates any element of individual judgment in determining grades, and saves time in scoring. The flight proficiency maneuvers listed in 14 CFR part 61 are the standard skill requirements for certification. They are outlined in the practical test standards (PTSs) as “Areas of Operation.” These Areas of Operation are phases of the practical test arranged in a logical sequence within the standard. They begin with “Preflight Preparation” and end with “Postflight Procedures.” Roman numerals preceding each Area of Operation relate to the corresponding Areas of Operation contained in the regulation. Each Area of Operation contains “Tasks,” which are comprised of knowledge areas, flight procedures, and/or flight maneuvers appropriate to the Area of Operation. You are required to demonstrate knowledge and proficiency in all Tasks for the original-issuance of all pilot certificates. You should obtain a copy of the practical test standard appropriate to the pilot certificate that you plan to acquire. This will enable you to know exactly what is expected on the practical test. Practical test standards can be obtained from the FAA’s Airman Testing website. Is it difficult to fly an aircraft? No. It is not particularly difficult. As a beginning student pilot, you will do most of the actual flying (handling the controls of the aircraft). When may I begin to fly? Immediately. However, you will need to apply for certain certificates, as described in this guide, in preparation for solo flight. A well-built and maintained aircraft, flown by a competent and prudent pilot, makes flying as safe or safer than many other forms of transportation. Modern aircraft engines are very reliable, and complete engine failure is a rare occurrence. If the improbable does happen, you will not “fall out of the sky.” Just do what the instructor had you practice during lessons— select a good landing area and land. What are the eligibility requirements for a student pilot? The specific aeronautical experience requirements are outlined in 14CFR part 61. For the student pilot certificate requirements, refer to subpart C section 83. Where can I obtain my ground and flight school training? Most airport operators can furnish this information, or you may contact the nearest FSDO. Is there a set number of flight instructional hours I will receive before I solo? No. The instructor will not allow you to solo until you have learned to perform certain maneuvers. These maneuvers include safe takeoffs and landings. You must be able to maintain positive control of the aircraft at all times and to use good judgment. What should I know about Title 14 of the Code of Federal Regulations(14 CFR) prior to my first solo? Your flight instructor will determine that you are familiar with appropriate portions of 14 CFR part 61, the general and visual flight rules of 14 CFR part 91, and will administer and grade a pre-solo written test prior to solo endorsement. The pre-solo written test will also include questions on the flight characteristics and operational limitations of the make and model aircraft to be flown. What does an appropriate logbook endorsement for solo mean? It means a verification by an authorized flight instructor showing that on the date specified, the student was given the required instruction and found competent to make solo flights. When is the first solo endorsement required? A student pilot must have a first solo endorsement dated within 90 days prior to any solo flight. What is the difference between a recreational pilot certificate and a private pilot certificate? limitations of the recreational pilot certificate are listed in 14 CFR part 61, section 101. Where can I get information about the Sport Pilot Program? Does a student pilot automatically have the privilege of cross-country flying after soloing? No. An instructor must have reviewed the pilot’s preflight planning and preparation for solo cross-country flight and determine that the flight can be made safely under the known circumstances and conditions. The instructor must endorse the student pilot’s logbook prior to each cross- country flight, stating the pilot is considered competent to make the flight. Under certain conditions, an instructor may authorize repeated solo flights over a given route. As a student pilot, am I permitted to carry passengers prior to receipt of my recreational pilot certificate or private pilot certificate? Must I have a Federal Communications Commission (FCC) radio telephone operator’s permit to operate an aircraft radio transmitter? For the purpose of obtaining an additional certificate or rating, may the holder of a recreational pilot certificate act as pilot in command on flights: (1) between sunset and sunrise; and (2) in airspace which requires communication with air traffic control? Yes, provided an authorized flight instructor has given the recreational pilot the required ground and flight training in these areas, and endorsed the pilot’s logbook. The recreational pilot will be required to carry the logbook with the required endorsements on such flights. How can the holder of a sport or recreational pilot certificate ensure that no inadvertent entry is made into airspace requiring communication with air traffic control? The pilot must select readily identifiable landmarks that are well beyond the boundaries of the airspace requiring communication with air traffic control. During training, instruction in identification of airspace requiring communication with air traffic control will be provided. How do I obtain a student pilot certificate? An application for a student pilot certificate may be processed by an FAA Inspector or Technician, an FAA- Designated Pilot Examiner, a Certificated Flight Instructor, or an Airman Certification Representative (ACR) associated with a part 141 flight school. The authorized person will submit the application to the Airman Certification Branch in Oklahoma City, OK. Once the application is processed, the student pilot certificate will be mailed to the address provided on the application. The applicant will receive the student pilot certificate by mail at the address provided on the application. If I only want to be a sport pilot how do I obtain a student pilot certificate? Sport pilot applicants who intend to fly without attaining a medical, but who will fly on the basis of a valid driver’s license will make application in the same manner as an applicant for any other certificate. If I have had a medical certificate denied can I just get a sport pilot certificate and fly on the basis of my driver’s license? No, The only way to fly as a sport pilot on the basis of a driver’s license in lieu of a medical certificate is if your last FAA-medical was not denied. Where can I get more information about the sport pilot arena? What are the requirements for a student pilot certificate? How long is my student pilot certificate valid? The student pilot certificate are no longer issued with an expiration date. Any previously issued student pilot certificates will remain valid until the expiration date on the certificate. How long is my third-class medical certificate valid? A third-class medical certificate is valid for 60 months if you haven’t reached your 40th birthday by the issue date. If issued after age 40, it is valid for 24 months. Can my student pilot certificate be renewed? No. However, there is no longer an expiration date for a student pilot certificate. If a student pilot still has a paper certificate, the student may submit an application can to be issued a new one. Now that the plastic student pilot certificate is being issued, how will my instructor endorse me for solo and cross country flights? All required endorsements from an authorized instructor are now required to be entered into the student pilot’s logbook. If I solo in more than one make and model aircraft, must I have an endorsement for each? Yes. Your flight instructor must make this endorsement prior to the first solo flight in each make and model aircraft in your pilot logbook. Does the endorsement to solo permit me to make solo cross-country flights? No. Your flight instructor must specifically endorse your logbook to permit cross-country flights. Must I carry my student pilot certificate when I am piloting an aircraft in solo flight? Yes. The certificate should be in your physical possession or readily accessible. When the student pilot certificate application is processed by a FSDO there is no charge. An FAA-Designated Pilot Examiner, a Certified Flight Instructor, and an Airman Certification Representative associated with a part 141 flight school are allowed to charge a reasonable fee for processing the application for student pilot certificates, and processing the necessary reports. Except for sport pilot applicants, you will need a medical certificate prior to solo flight if you are operating an airplane, helicopter, gyroplane, or airship. It is suggested you obtain your medical certificate prior to beginning flight training. This will assure you are aware of any condition that could prevent you from obtaining a medical certificate prior to making a financial investment in flight training. From any FAA-Authorized Aviation Medical Examiner. There are numerous doctors who are FAA-Authorized Aviation Medical Examiners. Q: Where can I get a list of FAA-Authorized Aviation Medical Examiners? The FAA lists a directory on the Internet on the Civil Aeromedical Institute’s website at http://www.faa.gov/pilots/amelocator/. Third-class, although any class will suffice. Medical certificates are designated as first class, second-class, or third-class. Generally, the first-class is designed for the airline transport pilot; the second-class for the commercial pilot; and the third-class for the student, recreational, and private pilot. If I have a physical disability, is there any provision for obtaining a medical certificate? Yes. Medical certificates can be issued in many cases where physical disabilities are involved. Depending upon the certificate held and the nature of the disability, operating limitations may be imposed. If you have any questions, contact an FAA-Authorized Aviation Medical Examiner prior to beginning flight training. Must I have my medical certificate, when I am piloting an aircraft in solo flight? What is the age requirement to take the sport pilot, recreational pilot, or private pilot knowledge test? An applicant must be at least 15 years of age to take the test, although applicants for the balloon or glider tests must be 14 years of age. Prior to taking the knowledge test, an applicant shall be asked to present a birth certificate or other official documentation as evidence of meeting the age requirement. What aircraft can I fly as a sport pilot? What are the restrictions on a sport pilot? while carrying a passenger or property for compensation or hire (no commercial operations). Q: How should I prepare for the knowledge test? 14 CFR part 61, section 309 (if preparing for the sport pilot knowledge test). The regulations require an applicant to have logged ground training from an authorized instructor, or to present evidence of having satisfactorily completed a course of instruction or home-study course in the knowledge areas appropriate to the category and class aircraft for the rating sought. What document or documents must I present prior to taking a knowledge test? A certificate of graduation from an FAA-approved pilot school or pilot training course appropriate to the certificate or rating sought, or a statement of accomplishment from the school certifying the satisfactory completion of the ground-school portion of such a course. A written statement or logbook endorsement from an FAA-Certificated Ground or Flight Instructor, certifying that the applicant has satisfactorily completed an applicable ground training or home-study course and is prepared for the knowledge test. A certificate of graduation or statement of accomplishment from a ground-school course appropriate to the certificate or rating sought conducted by an agency, such as a high school, college, adult education program, the Civil Air Patrol, or an ROTC Flight Training Program. A certificate of graduation from a home-study course developed by the aeronautical enterprise providing the study material. The certificate of graduation must correspond to the FAA knowledge test for the certificate or rating sought. The aeronautical enterprise providing the course of study must also supply a comprehensive knowledge test, which can be scored as evidence that the student has completed the course of study. When the student satisfactorily completes the knowledge test, it is sent to the course provider for scoring by an FAA-Certificated Ground or Flight Instructor. The instructor personally evaluates the test and attests to the student’s knowledge of the subjects presented in the course. Upon satisfactory completion, a graduation certificate is sent to the student. In the event of retesting after a failure, the applicant must present the unsatisfactory Airman Test Report. If the applicant elects to retest for a higher score, the satisfactory Airman Test Report must be surrendered to the test administrator. If I fail the knowledge test, is there any way to determine the areas in which I need additional work, so I can study for a retest? Yes. You will receive an Airman Test Report from the testing center. The test report will contain your test score and will also list topic and content descriptions for the areas in which you were deficient. If I pass the knowledge test, will I receive the same information concerning areas in which I need additional work as I would if I failed the test? How long is a satisfactorily completed knowledge test valid? 2 years. A satisfactorily completed knowledge test expires at the end of the day of the 24th month after the month in which it was taken. If a practical test is not satisfactorily completed during that period, another knowledge test must be taken. Prior to taking the practical test, what aeronautical experience must I have? The specific aeronautical experience requirements are outlined in 14 CFR part 61. 14 CFR 61, subpart J, section 313 for the sport pilot certificate requirements. 14 CFR part 61, subpart D, section 99 for the recreational pilot certificate requirements. Must I provide the aircraft for my practical test? Yes. An applicant must provide an airworthy aircraft with equipment relevant to the Areas of Operation required for the practical test. What papers and documents must I present prior to my practical test? What pilot maneuvers are required on the practical test, and how will my performance of these operations be evaluated? 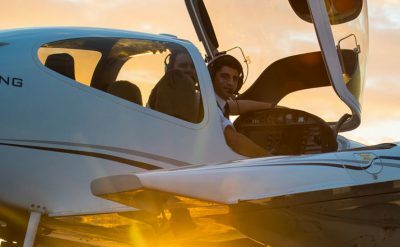 What is the minimum age requirement for a sport pilot certificate, recreational pilot certificate, or private pilot certificate? An applicant must be 17 years of age. Although, applicants for the private pilot glider or free balloon rating may be 16 years of age. 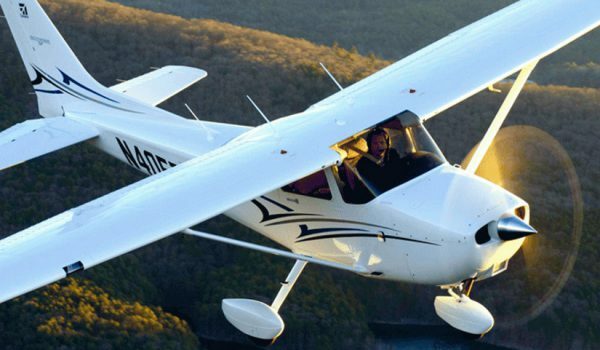 When can I take the sport pilot, recreational pilot, or private pilot practical test? 14 CFR part 61 establishes the ground school and flight experience requirements for the recreational pilot certificate and private pilot certificate. However, your flight instructor can best determine when your qualified for the practical test. Your instructor should take you through a practice practical test. Where can I take the practical test? Due to the varied responsibilities of the FSDOs, practical tests are given by pilot examiners designated by FSDOs. You should schedule your practical test by an appointment to avoid conflicts and wasted time. A list of examiner names can be obtained from your local FSDO. Is there any charge for taking the practical test? Since an FAA-Designated Pilot Examiner serves without pay from the government for conducting practical tests and processing the necessary reports, the FAA-Designated Pilot Examiner is allowed to charge a reasonable fee. However, there is no charge for the practical test when conducted by an FAA Inspector. May I exercise the privileges of my pilot certificate immediately after passing my practical test or must I wait until I receive the actual pilot certificate? receive your permanent certificate within 120 days. Is there a charge for the pilot certificate? No. There is no charge for any original certificate issued by the FAA: However, fees will be charged by the FAA-Authorized Aviation Medical Examiner for the medical examination and by the FAA-Designated Pilot Examiner for conducting the practical test. The FAA does charge to replace any pilot or medical certificate.